A boutique with a big show window and a stylish purple sign with pink rhinestones. The set includes the shopkeeper, the Persian Cat mother. 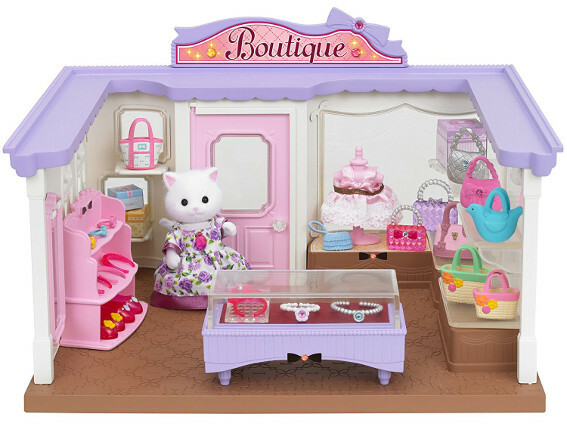 There are lots of accessories such as bags, jewellery and dresses, which you can put in the shop window and display case to set up your boutique.